"DeConnick and Ríos fill this comic with mystery, adventure and uncertainty." "Pretty Deadly #1 is a fantastic debut issue by creators who are working in perfect tandem to tell one of the tightest stories I have seen in a #1 issue in a long time." "The art team displays a terrific level of experimentation. Bellaire blends sensible, real world colors with bubblegum highlights; a freshly fired pistol trails soft, pink smoke, a captivating tale comes to live in vivid shades of orange and yellow, and the trail of a bullet leaves a purple streak against the cold blue of a twilight sky." "From the first couple of pages all the way to the end [...], DeConnick and Ríos have managed to create a world that is so captivating and painfully beautiful that it’s impossible to tear yourself away from it." "Pretty Deadly is not meant to be rapidly devoured. It is meant to be savored, allowing time to ruminate upon the symbolism, stare at the deluge of lines and color, and be swallowed by the depth of each character's stare." PRETTY DEADLY #1 may still be on sale at your local retailer while supplies last. In addition, PRETTY DEADLY #1 is available digitally on the Image website (imagecomics.com) and the official Image Comics iOS app, as well as on Comixology on the web (comixology.com), iOS, and Android. The second printing of PRETTY DEADLY #1 will be in stores on 11/27 and can be pre-ordered now using Diamond Code SEP138208. 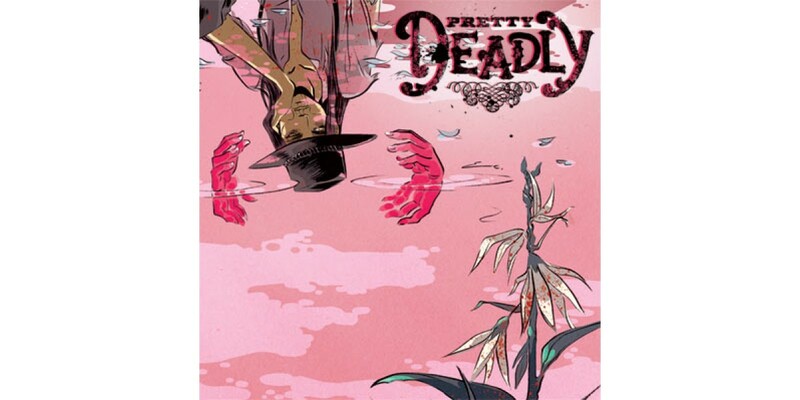 PRETTY DEADLY #2 releases on 11/27 and can be pre-ordered now with Diamond Code SEP130627.